Embark on our 2018 Languedoc-Roussillon Wine Study Tour with professional-level instruction ! Experiencing a WSG immersion trip is the best way to complete your French wine education. Each trip is led by an internationally renowned expert and includes high-caliber wine tastings, vineyards tours, memorable meals, insider producer visits with top estates and more. 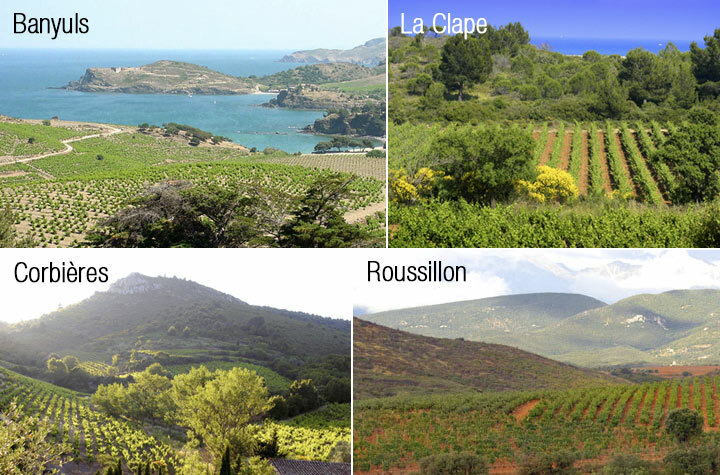 The Languedoc-Roussillon is the largest and most dynamic wine region in France. Diverse and fast moving, this is where 2000 years of history and tradition combine effortlessly with the contemporary and the avant-garde. See it first-hand. Languedoc-Roussillon boasts 1,029 organic wine producers, the highest number of certified organic wine producers in France. It also has the largest certified organic area under vine! Interestingly, many of its top wines fall outside the AOC category and are labeled IGP or VdP. This has given tremendous credibility to a wine category for which many have had but modest expectations. 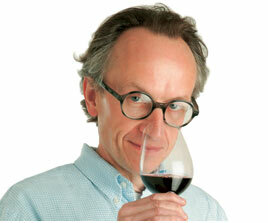 Languedoc-Roussillon merits study. It has a lot to teach us about misconceptions and preconceptions…and value at every price point. And as for beauty and a landscape with drama? Priceless. He went above and beyond with a serious and significant effort to enhance the learning value of the study trip through his daily talks on the bus, his commentary on the visits, his portable reference library and his impeccable follow through on every single question that came up"
Assisting the instructor and making sure logistics run smoothly and that your needs are answered will be Mary Kirk, Sommelière-Conseil. 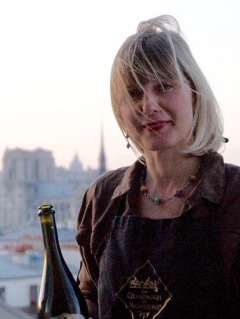 Mary has been leading wine tours in France for over 10 years, and teaches wine in the Paris area. I loved the nature of visits to small wineries. The scenery was spectacular, and I definitely hope to return to the area"
I thought everything was very well planned out. We saw an incredible amount in a short period of time. The visits were all spectacular." The access to the wineries, the welcome by the vignerons & the connection of the instructor and the vignerons was excellent. I really enjoyed the landscape and region a lot, beautiful countryside." Participants arrive independently in Nîmes and check in to the Hotel Novotel Atria Nîmes Centre, ideally located in the historic city center. Evening on your own with our suggestions for fine restaurants. Set off for the vineyards of Pic Saint Loup and visit a top producer like Chateau de Cazeneuve, Mas Brugiere or Domaine de l’Hortus. Enjoy lunch of regional specialties. Move on to Aniane, the first self-styled “Grand Cru” of the Languedoc, and visit a renowned estate like Mas de Daumas Gassac or Grange des Pères. In the Terasses de Larzac, visit a fine producer like Domain Jullien or Domaine La Peira en Damaisèla. Check in to Hotel Clarion Suites Ile de Gua in the charming city of Narbonne. Take the evening to explore Narbonne on your own, with our restaurant suggestions. Begin the day in Saint Chinian with a visit to innovative producer Mas Champart. Enjoy some free time to explore the beautiful historic village of Pézénas, with lunch on your own. Visit and tasting at Domaine Prieuré de St. Jean de Bébian, a flagship domaine of the Languedoc since the early 80’s. Discover Faugères, a small, high quality appellation based 100% on schist soils, with a visit and tasting at the exceptional Domaine de Cébène. Dinner tonight is at Le Petit Comptoir, an excellent restaurant with an extensive list of great wines of the region. In the Corbières, the largest appellation in the Languedoc and ancestral home of the Carignan grape, visit and taste at a great winery like Château La Voulte-Gasparets or Domaine d’Aussières. Your next stop is the first “Cru” appellation of the Languedoc, Minervois La Livinière, with a visit at Borie de Maurel or Clos d’Ora. Gourmet lunch of regional specialties at a fine local restaurant. Free time at the Languedoc’s most famous historic site (and one of the most famous in France), the fortified medieval city of Carcassonne. Return to Narbonne for an evening on your own. Head south today to the stunning Roussillon region, and arrive at your first stop in Côtes de Rousillon Villages/Maury. Visit and taste at a top estate like Mas Amiel or Domaine Roc des Anges. Head down the Mediterranean coast to the fabulously beautiful slopes of Banyuls, the southernmost appellation in France. Visit the great producer Domaine des Paulilles, take a walk in their breathtaking vineyards overlooking the Mediterranean, and enjoy a lovely Catalan lunch on their walled terrace. 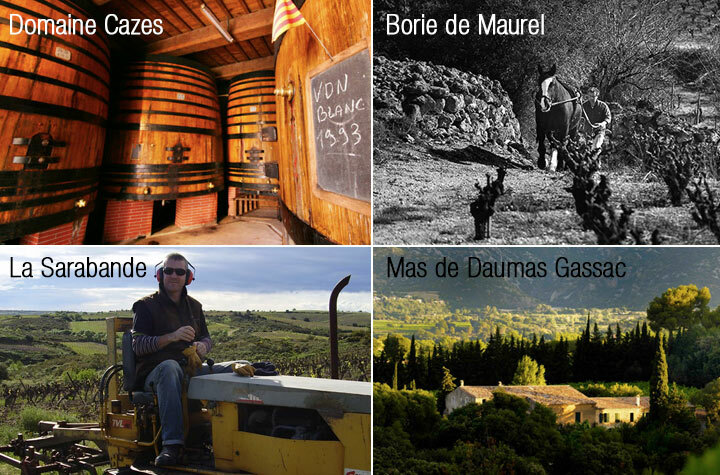 Your last visit today is at Domaine Coume del Mas, one of the best producers of the dry style of Collioure wines. Your farewell dinner is at acclaimed Michelin-starred gastronomic restaurant La Table Saint Crescent in Narbonne. Visit the vineyards of Picpoul de Pinet, the maritime appellation that is the largest white wine AOP of the Languedoc. Visit one of the best co-ops in the region, La Cave de Pomerols, winner of the white wine trophy at the Decanter World Wine Awards 2011. In La Clape, you’ll walk in the vineyards with their dramatic views of the Mediterranean Sea and visit one of the top producers of the appellation, Mas du Soleilla. Enjoy a lovely lunch in the La Clape vineyards at Chateau l’Hospitalet. Visit and taste at the excellent Chateau d’Angle in the lower part of La Clape, near the seaside. Your study trip ends with a group transfer to Narbonne TGV train station, Gare de Narbonne. Hotel rooms: we are staying in several small hotels on this trip. As a result, the rooms may not all be exactly the same, and they may also be in different categories. We will assign hotel rooms in the order of sign-ups for the trip. All rooms will be very comfortable and have the same services (en-suite bathrooms, A/C, WiFi, etc.). Trips are open to people from all countries, and are held in English. ***After you have reserved your first Study Trip in 2018, you will receive a Multi-Trip Discount of US$150 for each additional Study Trip you take in the same calendar year. This Discount will be deducted from the final balance payment for each additional Study Trip. You must pay in full for the first Study Trip you reserve to be eligible to receive the Discount for additional Study Trips. We thank the following estates and individuals for having welcomed us and our students on passed study wine tours to Languedoc Roussillon.